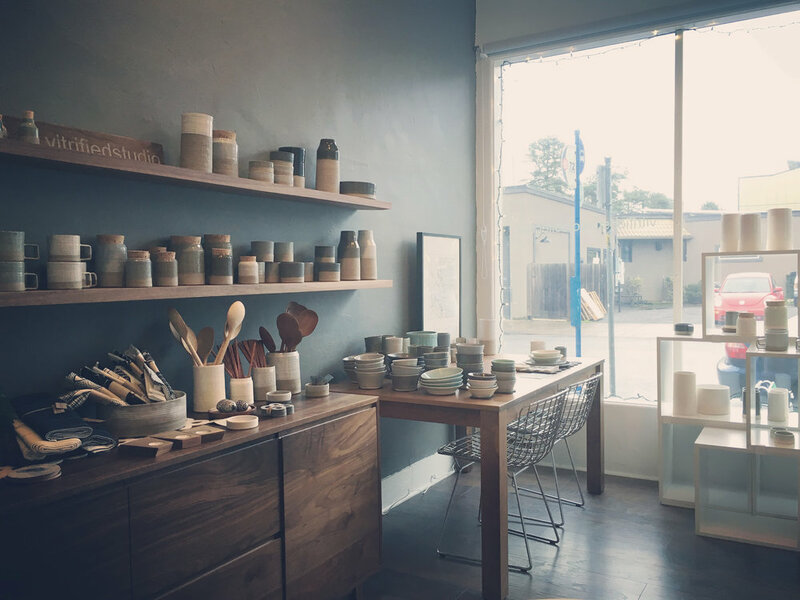 a minimal modern handmade ceramics studio by shelley martin. portland oregon usa. From January 2015 - December 2017 I had a retail gallery / studio storefront at Alberta Street /30th Ave in Portland Oregon. The gallery is now closed and I am back to working entirely from my home / garage studio. Thank you to everyone that came by the gallery to meet me, shop or watch me work on the pottery wheel. I hope to have a new home studio in a few years where I can have open studio events, but until then I am sorry but I cannot do studio visits or appointments.